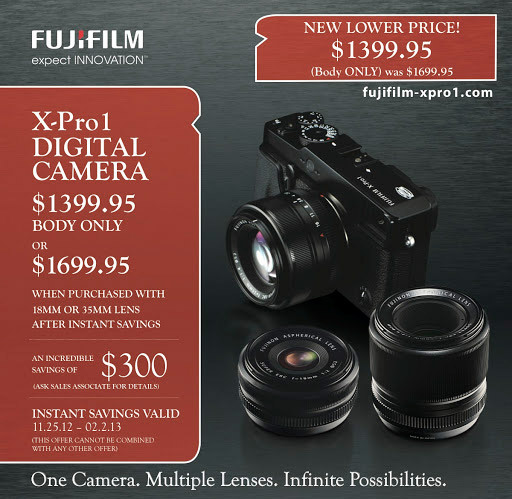 As previously reported, the price of the Fuji X-Pro1 mirrorless camera dropped by $300 today. You can save another $300 if you purchase the body with a 18mm or 35mm XF lens. The new pricing is already available on Amazon and B&H.